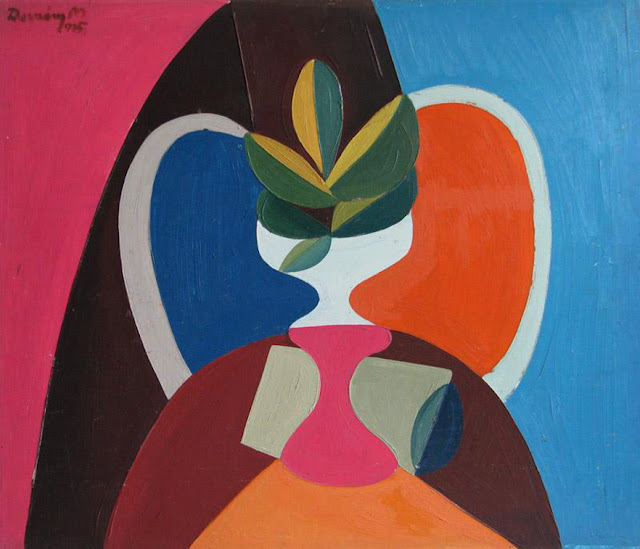 Hungarian painter Demény Miklós (1939-2010) studied at the Hungarian Academy of Fine Arts under Gyula Pap and Aurél Bernáth. 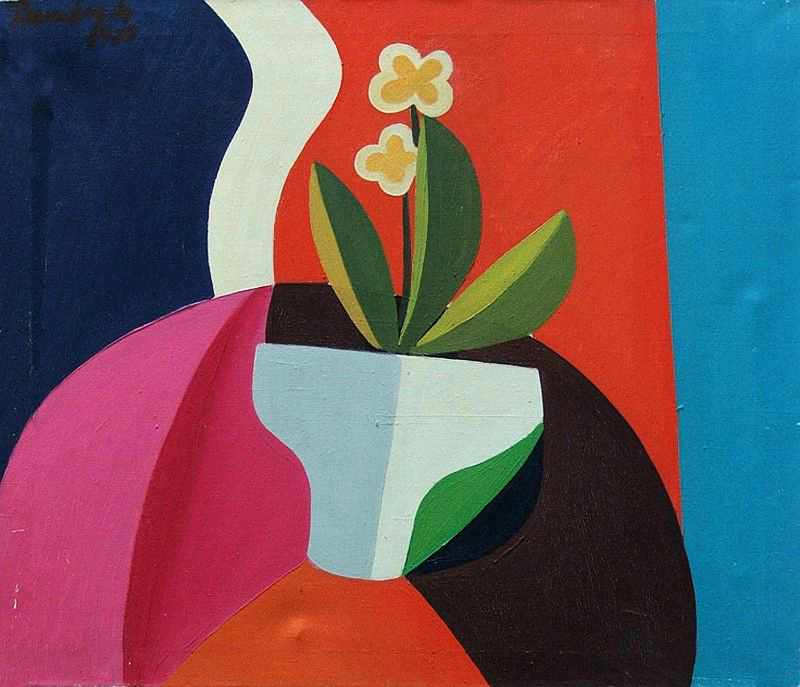 He participated in his first show in 1958 and continued to exhibit throughout Hungary until 1968. 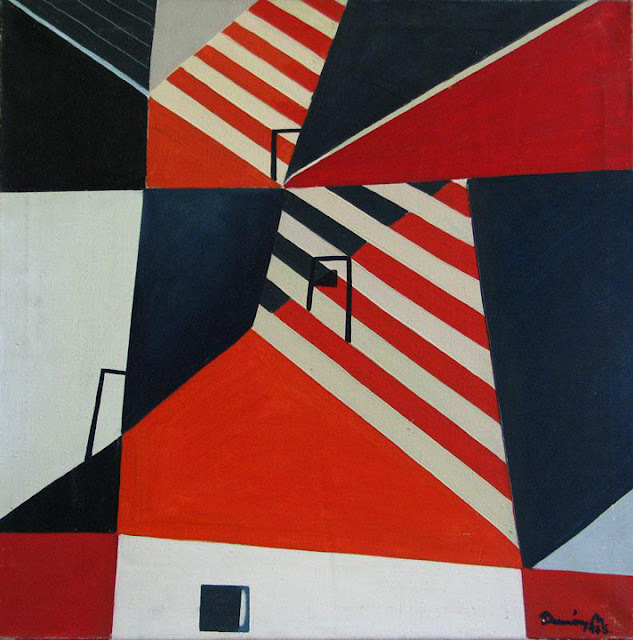 After 20 years, Demény once again began to exhibit, participating in shows from 1988-1998. 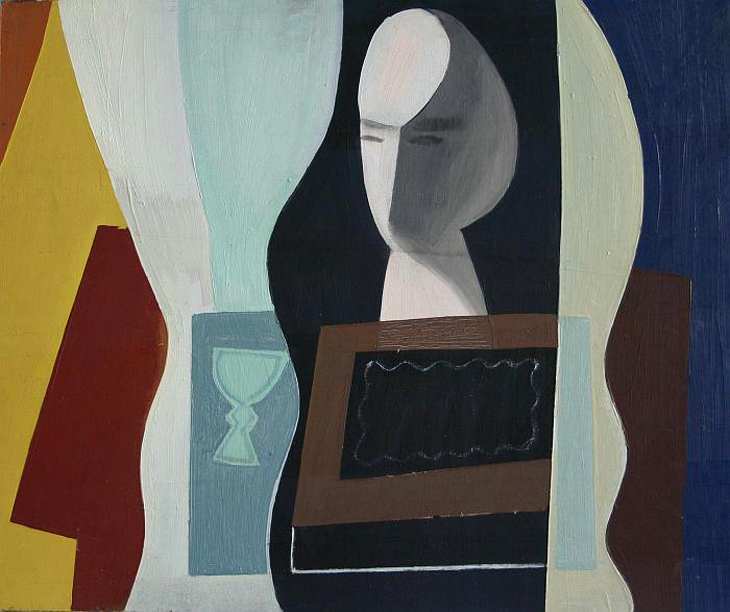 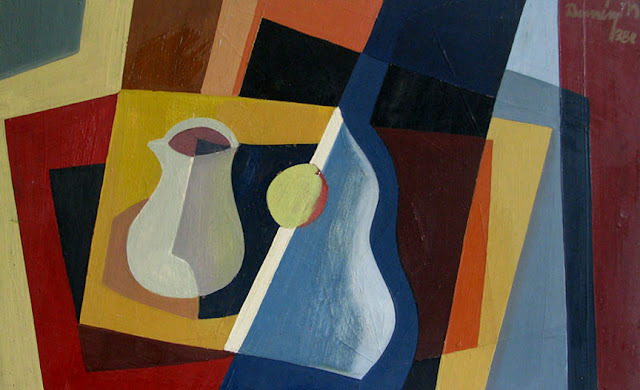 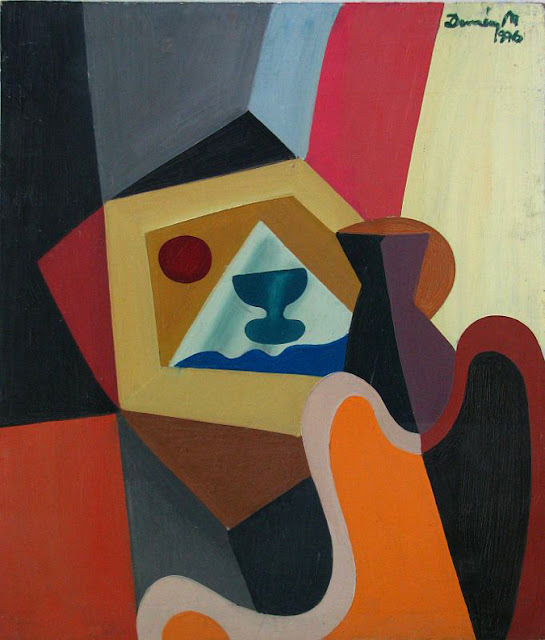 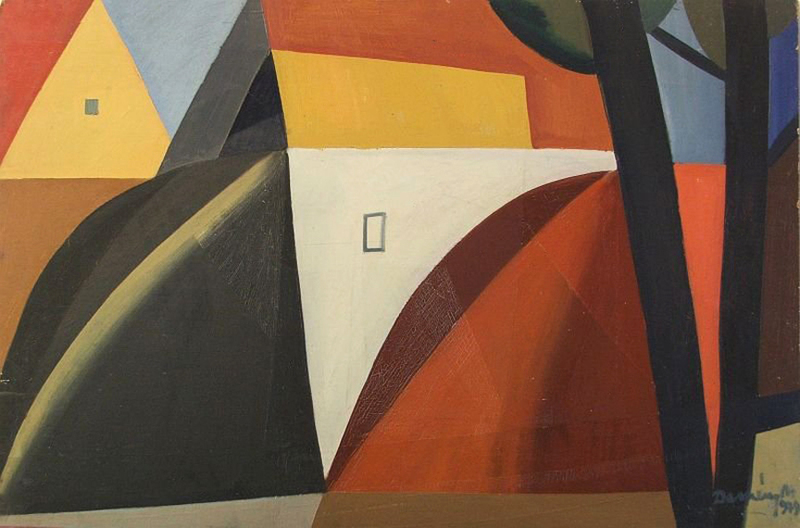 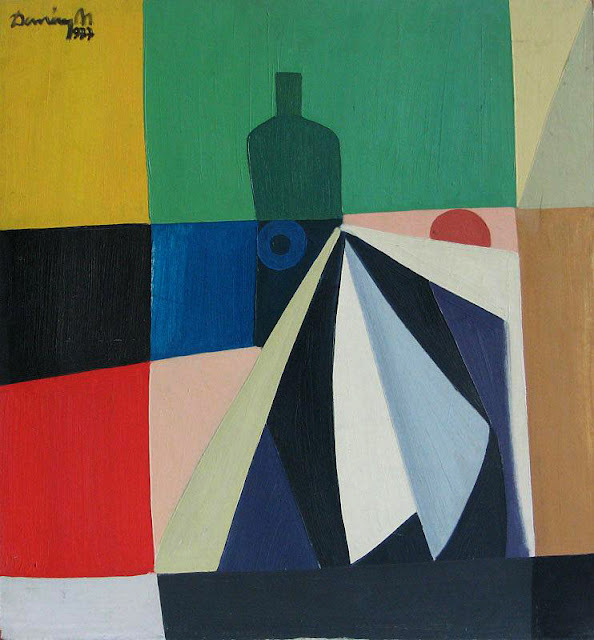 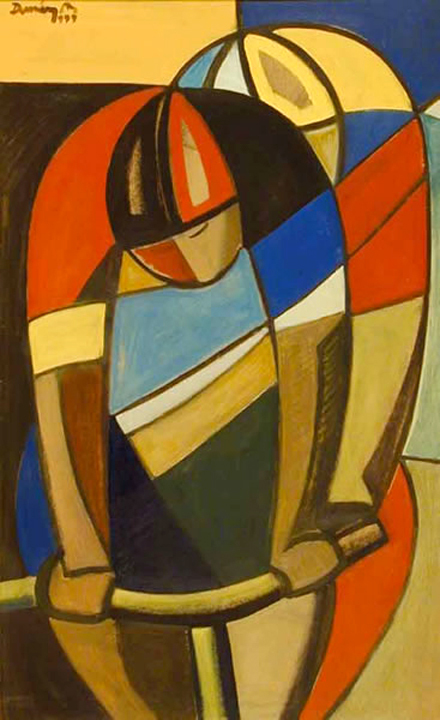 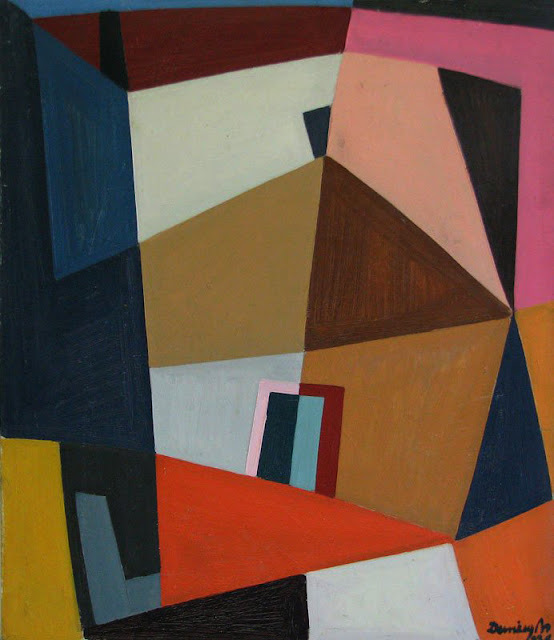 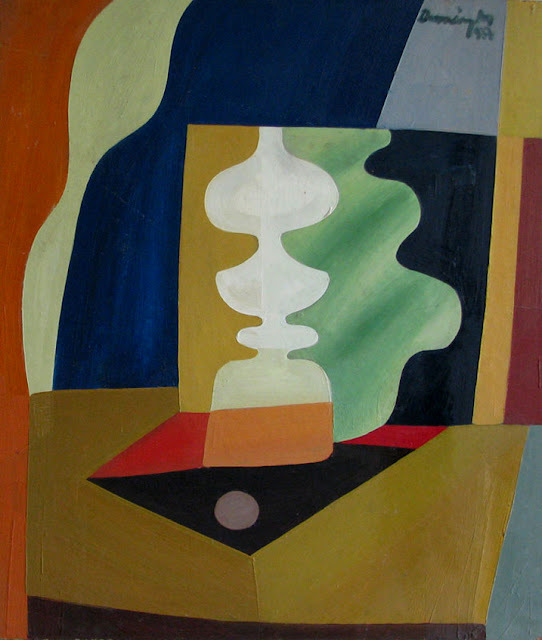 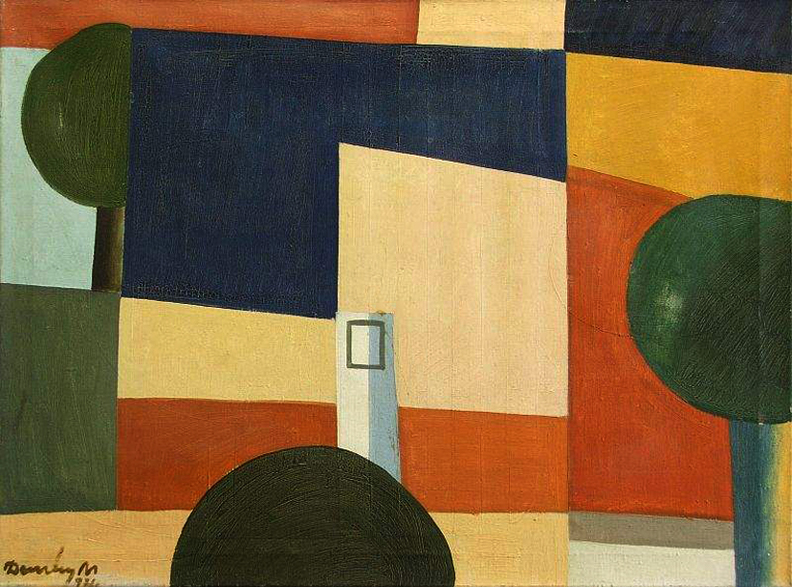 His early works were a step closer to realism with more shading and detail, but I prefer his later works (as shown below) which were more geometric, with large areas of flat color- imparting that Purism style that I love.